Straight drop external awnings create a cosy and welcoming outdoor environment, protect your deck from the weather and retain your view. The slimline appearance of straight drop blinds means they are barely noticeable and sit almost flush with the wall they are attached to. When the awning is put away, the fabric retreats into an enclosed headbox that protects it from rain and harsh sun. 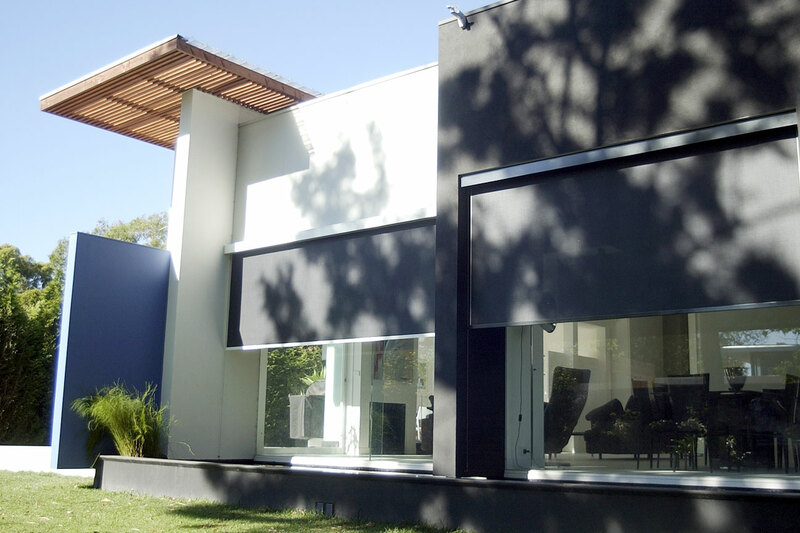 Straight drop blinds can be manufactured in a variety of fabrics and an even larger number of colours. Dark mesh fabrics are most popular for al fresco areas, protecting from glare, heat and light winds yet still showing off your view. Other options are solid acrylic and clear PVC. These blinds are best operated with a simple crank and gear mechanism, as this allows for some tensioning to help with wind protection. Automation is a great option, particularly for larger blinds. 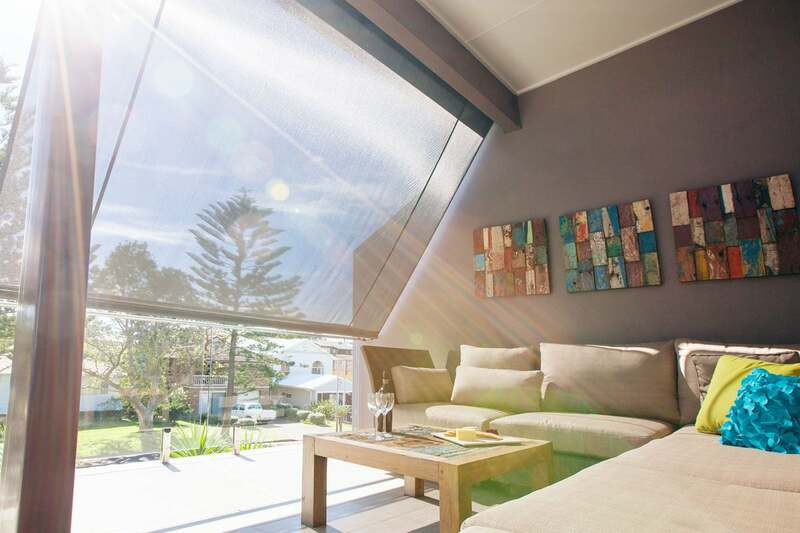 Come and chat to our consultants at our Parry Street Showroom about transforming your alfresco living with straight drop blinds.